CUT-IT provides outstanding separation and cooling when drilling, increases the life of tools and is suitable for all metals. 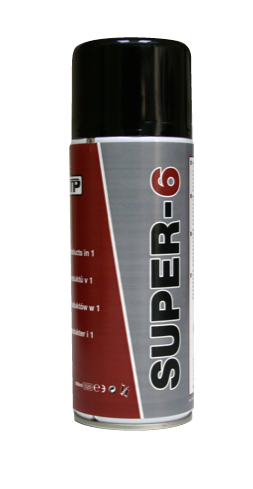 High quality metal lubricant and cutting paste for drilling and cutting. 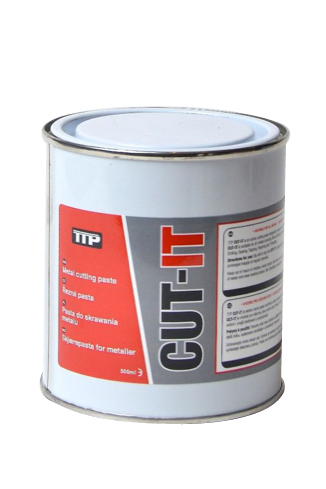 CUT-IT is a high quality metal lubricant and cutting paste in paste form, suitable for reaming, tapping, drilling and metal forming. If you are repeatedly drilling steel and hardened metals and are looking for a more efficient and cooling way to drill – use TTP CUT-IT available in 500ml. Metal cutting and drilling generates heat due to friction and energy lost deforming the material. Drilling steels and harder alloys typically produces more heat than air cooling can remove. It is not just the tool which heats up but also the work surface. Excessive temperature in the tool or work surface can ruin the temper of both. 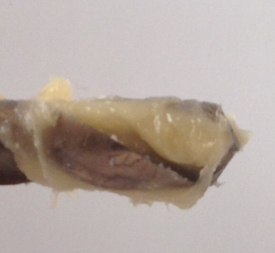 Besides cooling the paste also aids the cutting and drilling process by lubricating the interface between the tool’s cutting edge and the chip. By preventing friction at this interface, some of the heat generation is prevented. We also sell TTP HARD cobalt drill bits.